Are you tired of office work? Fed up with daily routine? 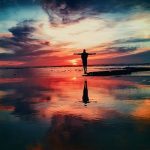 Had enough of healing and meditation techniques? 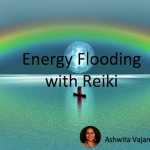 Want some fun during Reiki group healing? Let us take this Reiki Quiz to refresh ourselves from routine and check how much we score. Please do not search the answers online. Answers are given at the end of the quiz. So let’s start now. Grab a pen and paper to note down your answers. Kindly specify how many answers you scored right in the comments. What is the meaning of Ki? Reiki was originated in ________ before it was rediscovered by Dr.Usui in Japan. Hawayo Takata taught _____ Reiki Master Students. What level of Reiki is Shinpiden? What level of Reiki is Shoden? Which 2 traditional reiki symbols are Japanese Kanji? So now done with the quiz? Let us all see how much we scored. I scored only 6 right before searching for answers. Planning to make more Reiki quizzes for Reiki get together with friends. Thank you, I answered 5 correctly. For being a Level 1 I didn’t do bad at 6 correct. thank you for this lesson.